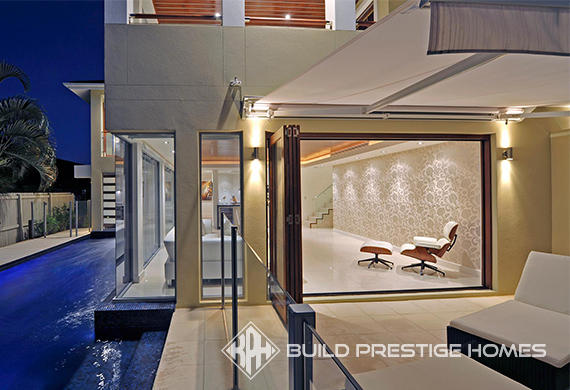 Build Prestige Homes specialises in the design and construction of beautiful homes and takes care of every detail. We work closely with our clients from the initial meeting and design brief to project completion and handover to ensure the end result is a beautifully, practically designed and quality constructed home that exceeds our client’s expectations, and all within their budget requirements. Building a new home or renovating or extending on an existing one is a big decision and that is why we work hard to make the whole process as straightforward, transparent and stress-free as possible. Our focus is on ensuring a seamless full service design and construct service for our clients. From your first design discussions, through to the handover of your new home, at Build Prestige Homes you will work closely with trusted and respected industry professionals. At Build Prestige Homes we are committed to creating unique, custom homes or renovations of all sizes to suit our individual clients lifestyle and budget. This all begins with an initial no obligation site inspection and meeting with the Director of Build Prestige Homes. At this meeting, we focus on getting a better idea of our client’s needs and expectation as well to discuss the aspects of the block such as the slope, aspects and orientation requirements. The design and planning stage is crucial to ensuring a seamless, stress free construction stage that is delivered on time and within budget. To commence the design and planning stage our Director and Designer will meet with you to discuss your design brief in detail. Bringing together the expertise of an award winning builder and designer ensures the process is on track to achieving your design needs and expectations within budget from the very beginning. Once the concept plans have been presented to our clients and approved, we then prepare a budget estimate to ensure the project is also on track in terms of our client’s budget. This budget estimate will also guide you during the exciting material and colour selections stage of the process. Following client approval of the concept plans and budget estimate, we can then proceed with finalising the working drawings and other necessary plans. As part of this stage of the process, you will also be presented with a 3D version of the plans that will allow you to take a virtual tour of your future home. windows and tiling. All of these selections will then be specified in the schedule and the budget estimate will be adjusted accordingly. A significant amount of work goes into the design and planning stage but this is necessary to ensure the construction stage is as seamless as possible. It will also ensure you can relax during the construction stage and simply enjoy seeing your project brought to life by a highly skilled team of tradespersons. Build Prestige Homes has a proven construction management process built on the Directors 25 years of experience in the industry that consistently results in the delivery of high-quality projects for our clients. Throughout the entire construction process we ensure that all of our quality standards are met, that the workmanship is exceptional, and that our clients are provided with regular updates on progress. High quality is standard in the materials we use and the service we provide to our clients throughout the entire project. The day that we handover the keys to your new home is a very exciting moment. We make sure that you are happy with all aspects of your home. Our success is built on the fact that our customer’s love their homes and we want you to proud to own a Build Prestige Home. We stand by the quality of our homes and the high standard of our workmanship. That is why your home will be covered by a 6 month maintenance period and will be backed by a six year structural warranty.